Long distance backpacking has special qualities that are hard to explain to anyone who hasn't done it. David Lintern, just back from a walk along the Haute Route Pyrenees, describes it well in a recent post on his blog Self Powered. This reminded me of a piece I wrote a few years ago, which I've posted below. The photos show a camp on my length of the Canadian Rockies walk in 1988 and hiking on the Pacific Northwest Trail in 2010. Long distance backpacking is my passion. Spending weeks and months in wild places brings a joy and contentment that underpins the whole of my life. I say backpacking rather than walking because the total experience is what matters, the camping as well as the hiking, the nights as well as the days. This is what distinguishes backpacking from day walking or hiking between accommodation inside solid walls whether mountain huts or luxury hotels. Why long distance? Actually the distance doesn’t matter. What is key is time. Time to feel part of nature, time to feel the subtleties and details of a landscape, time to move slowly yet make progress and time, crucially, for backpacking to become a way of life not an escape from life. Long distance is almost a by product. Walk every day for week after week and you will cover many miles. I’ve never felt the actual distance was important. I’ve never set out to do daily big mileages; hundreds and thousands of miles accumulate with time not constantly pushing myself. Because being in the wilds, absorbing the intricacies of nature, listening to the wind, hearing echoes of the past in the rocks, observing flowers and insects and birds are all important I want to have the time to pause and look and listen whenever something beckons or seems interesting. Backpacking is not a race. I don’t want a schedule that says I have to walk ten or more hours a day with few if any halts and no time to enjoy the camping side of backpacking. I think backpacking is about living in nature not streaking through it. It takes time to slip into backpacking as a way of life. On any trip there are niggles and concerns that dominate the first few days or even weeks. Worries about finding the route or water or a camp site; disturbing traces of the life left behind that need to be shaken off. Some of these, such as fussing over details of gear and wondering if this is the right stove or sleeping bag, perhaps mask deeper fears, hidden doubts about the walk as a whole and whether it really is feasible or wise to attempt it. Together these distractions act as a barrier to being fully involved, emotionally and physically, in the walk. Then as the days pass they fade away and become inconsequential. The walk becomes all. Part of this is a growth of confidence, part a shedding of a psychological state attuned to the unnatural hectic rhythms of the modern world – timetables, schedules, deadlines, appointments, fast track this, pay attention to that – be here, be there, be everywhere, now, at once, do this, do that, don’t stop, don’t relax, pressure, pressure, pressure, go, go, go! Phew! In the wilds, on foot, this is all put into perspective. Seemingly important concerns become trivial, high pressure essentials seem laughable. I’ve mentioned the wilds and nature several times and these, the physical world in which backpacking takes place are of course very significant. Walks that are too close to what we call civilisation are less satisfying than those that venture into wilderness. I realised this on my first really long backpack, ten weeks walking 1250 miles from Land’s End to John O’Groats. Apart from a few hours in the Pennines the walk only really became deeply fulfilling in the Scottish Highlands where I was away from roads and buildings for days at a time. Four years later I hiked the Pacific Crest Trail, 2,600 miles from Mexico to Canada through deserts and mountains that took five and a half months. 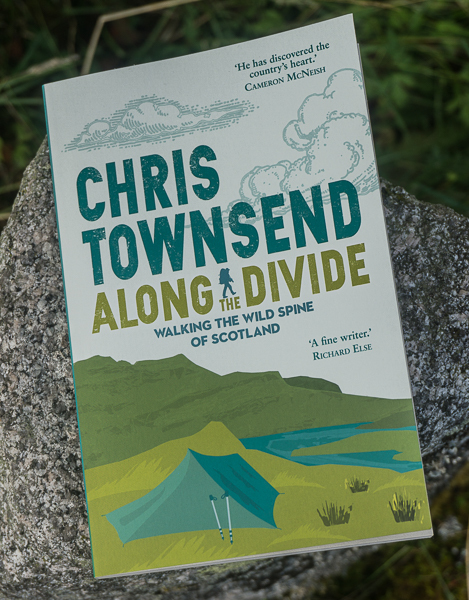 This walk was a revelation both to the grandeur and power of nature and wilderness and to the rewards and meaning that came from taking on the challenge and commitment of spending almost six months walking and camping in the wilds. Day after day I travelled through magnificent forests, jagged mountains, spacious deserts and towering canyons. I watched as the hot deserts and tree-clad mountains of the south gave way to cooler, bigger mountains with glaciers and bare granite peaks. The land unfolded, developed, expanded and was revealed. I grew familiar with plants from desert cacti to mountain conifers, with animals from shy mule deer to rattlesnakes and black bears. I grew to know the noises of the night and the forest and no longer woke, as I had in the first few weeks, to sounds that were unfamiliar and so frightening and potentially threatening. This is where time came in again. Time to become used to the land and its inhabitants, to its noises and moods. By the time I finished the PCT I felt at home in the wilderness. I also felt fulfilled and ecstatic, full of the glory and power of nature, of the amazing life of this tiny planet, this speck in the unimaginable vastness of the universe. The experience left me so deeply moved, so thrilled and so shaken with delight that I knew I had to repeat it. And I have done so many times since, though never with quite the impact of the PCT. The pleasures have become calmer with familiarity though no less intense. Where Land’s End to John O’Groats was like a trial run, the test to see how spending weeks solo walking and camping felt, the Pacific Crest Trail was the realisation, the completion. Back home I felt refreshed and renewed. I also felt I had found a reason for living and an understanding of life, a feeling that possessions and a frantic urban lifestyle were superficialities imposed on and masking our place in the natural world, superficialities that could be dangerous, leading us to think that we were apart from nature not a part of nature. I had a desire to communicate the stories of my walks and the thoughts and feelings they engendered, a desire for others to share my joy and contentment through my writing and photography and also, most importantly, in reality by going out backpacking in the wilds themselves, whether for a weekend or a year. 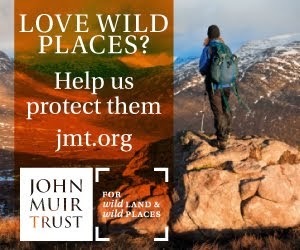 This is not just for the pleasure of the experience, though that is very important, but also because without wild places we are diminished. We came from the wild and it is still within us and without it we are nothing. Understanding this means understanding that protecting nature is vital. And walking and sleeping in nature is the best way to reach this understanding. Long distance backpacking also satisfies our ancient nomadic instincts, relics from prehistory, from the time when all humanity was on the move, when we were hunters and gatherers forever traversing the wilds for food. Back then – which covers most of the time humans have existed – there was no possibility of a separation from nature, there was nothing except nature. These instincts within us need expression and there is no better way than by walking in the wilds, with its by-products of physical and psychological well being and low environmental impact. Of course the challenge of long distance backpacking is significant and I do find satisfaction in completing a walk and in successfully overcoming any difficulties with terrain, route finding, weather and wildlife. But the challenges are not the prime reason for going; they just make the experience more intense and enjoyable. Having to concentrate on threading a route through dangerous terrain, finding a camp site in steep, dense forest, protecting food against wild animals and coping with a mountain storm all make contact with nature more immediate and powerful. That immediacy, of only being aware of the moment, comes with having to give all your attention to these essential aspects of the backpacking experience. A challenge many people think must exist is that of being alone in the wilderness. How, they say, can you cope without anyone to talk to, without even seeing anyone for days on end? It’s not a problem for me so I don’t know how to cope with this. I may be alone in the wilds but I’m not lonely. There is always so much of interest in nature. Planning a long distance walk is now much, much easier than in the past due to the internet. Back in the 1980s it took weeks for letters and packages to travel back and forth as I enquired about maps, routes, supply points and more. Today I can find most of that information on the internet in less than an hour and send emails requesting anything I can’t locate and have replies within hours. Planning to hike an established trail is made easy by almost instant information. Planning your own route for which there are no guidebooks or websites still takes time as you have to decide on where you will go. This is the part of planning I most enjoy however. I can spend hours poring over maps, tracing possible routes, working out logistics and getting excited at all the possibilities. I know too that however detailed my planning it won’t all make sense on the ground and that I will have to adapt my route to the terrain, sometimes wondering how I could possibly have thought my original idea made any sort of sense. On my wildest, remotest walks – the length of the Canadian Rockies (especially the northern half) and the length of the Yukon – I often abandoned the red lines I had so confidently marked on maps back home and took what were obviously more logical routes once I could see the terrain. At other times I’ve deviated from planned routes for aesthetic or emotional reasons – I want to stay high on a mountain ridge or follow a wild river. So I think of my route plans as guides rather than fixed lines. This applies even when I walk named trails. I feel no obligation to stay with the “official” route. In fact, the long trails I have walked have all been in early stages of development with long sections unsigned and often without actual paths. Enjoying planning routes means that I always have ideas for future ones in my head, some of which I may never do or will alter so much if I do walk them that they will be unrecognisable from my original plans. At present I have a constantly changing idea for a long walk in the deserts and canyons of Utah and Arizona as there is so much there I haven’t seen and an even less formed idea for a high level walk in the High Sierra, which would in fact be a companion to a 500 mile forest and pass route I did there a few years ago. I hope to set out on one of these walks sometime in the next few years. I'm so glad you posted this, Chris. There's a lot to digest, practical stuff as well as esoteric (which I guess I personally enjoy more). Reading about your PCT thoughts really bolster my desire to hike that trail. And one of the poignant aspects for me of what you do is how you study the wildlife and educate yourself generally around that. Something I'm keen to do when I move to Norway! I'm sure I shall re-read this post more than one! Another thing that has changed recently is that getting away from it all is much harder than before for those who can't cut their digital cord. It's a pity, since they take it because they think they might be missing out or they want to share the experience. However, on a long distance trip, you're missing out if you bring a communications device with you. When out for a long trip, it's the joy of just "being" that does it for me. The simplicity of the new life you have chosen for that trip becomes the framework on which to hang new experiences, meeting new people and the miracle of just getting up each morning to the thrill of a new day with whatever it will bring to you. Afterwards, I found it more difficult to enjoy shorter trips until I learned to accept that these were little gems that were to be stolen and put in your pocket for rainy days when things don't go quite so well. A friend of mine has her little pebble she keeps in her pocket - she feels it's smoothness and remembers the pleasure of her wonderful holiday when perhaps all around is a bit stressful. To me, that's what getting away can be about - it can give you a sense of perspective in difficult times. I have designs on the PCT too now, well since reading and watching keith fossets account last year, whether I'll ever get the time i don't know. Short term its learning more about wild life and more about scotland. I guess I am one of those who Francis says is missing out - I tweeted pictures when I could. Maybe its getting older but I found I wanted to communicate the feeling of the walk and the space it engendered and also stay in touch with family with a photo or a text. Also I walked for charity, so keeping those who donated informed was important I felt. Engagement is allowed, in fact all those who have commented are blogging so I guess that puts that one to bed. That said if the phone had no reception for a week I was ok with that. One of the nice things about being away was less politics to fret over, free of the tribal tussle and the village gossip, at last! Nearly all ego driven and theres no place at all for that out there. And when u come back, appreciating the good things and good people around you, a clearer perspective on what you see as important. What I found out myself and have observed while talking to potential long distance hikers (I help Germans who want to tackle the PCT or AT)is that there biggest fear or concern actually has not that much to do with experiencing something new like the wildernis oder an amazing backpacking experience. What they fear and what I feared when I headed for my first long distance hike in 2004 is letting go of the security and prededictability of our daily lives. In the end it all boils down wether you will be able to let go and open yourself to a new life style. Long distance hiking definitely changed my life and it will change yours once you do it. 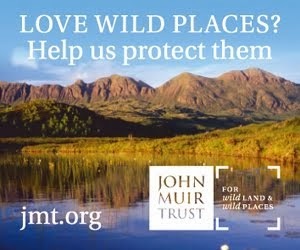 I particularly liked the background about why we have a need for wild places and why time spect in wild places is so rewarding. I also liked your descriptions of long walks and planning and deviating from routes and carrying an unbelievable 100lbs weight at the start of a 20 day joureny (going up hill some of the way too, i guess). My som Michael, 9yrs asked me the other day what period of time would you have liked to live in most and why. I wasn't allowed to say 'now' so I chose around 1910 before the motor car was around.But I don't know that much of history and so it was difficult to answer and yes there would be i guess more poverty in 1910 than today. Reading your post about how man was immersed in nature, I wondered what time period you would choose, if any ? A very inspiring piece of writing, Chris. You've almost talked me into selling my house and going for it! Pity the housing market has sunk. I always found your books inspiring. Your telling of the crossing of the Bob marshall wilderness and the Chinese wall still stands out in the memories. But what cost in time away from wife and children come into play? Yet the thought of a summer in wilderness still is the most griping dream I have and can imagine. Fantastic post Chris. I’ve followed your trips and your writing since the days of Footloose & the Great Outdoors. I have always enjoyed your writing and have great admiration and respect for your sheer grit in completing all those very long walks. Although Gear Editor of TGO could be your bread and butter I do much prefer your articles on wild places…do keep them coming! What I find wonderful, Chris, is that you continue to hold the reverence and joy and wonder of getting out there, even after all these years. It is obvious that it sustains you and gives you deep satisfaction in life. Not many people find such a touchstone in their life and it is beautiful when you meet someone who has. Getting out there like that seems to be what guides my life, what holds my attention more than anything else. I don't have a religion, but I'd say that the natural world is where I find my sense of meaning in being alive. I've never been on a real long wilderness walk (the closest I've come is the Tour de Mont Blanc and the Juan de Fuca Trail on Vancouver Island, Canada), but in 1995 my wife and I bicycled for 6 months around Europe, camping everyday. What we found was that the alternative sense of time, the constant openness of the sky above our heads, and the freedom to move the way we wanted or do or not do what we wanted completely changed our understanding of time and place and being. If there is one thing I deeply regret about my life is that so much time was spent within the rat race and so little of it wandering. If it is still possible, I'd like to spend what time I have left going for some of these long-distance rambles that you speak of here. I wouldn't mind dying this way, out there, suffused with the wild, laughing. grateful. By the way, I am Miguel Arboleda. "Butuki" is my online persona. Martin, my longest walks were done when I was single! But I have been on two and three month walks since I had a partner and step-daughter - that I did this was understood when we got together. Miguel, good luck with making your dreams real. It's worth it.